emotions | The Better Plan . . 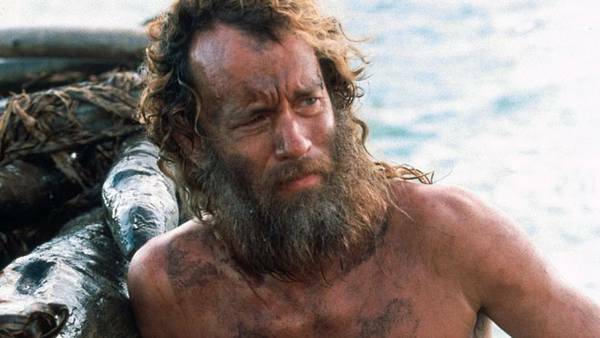 Lessons on mental health from Wilson, one of the stars of the movie, Castaway. The William Glasser Institute recently shared this article with members and I thought many of you would find it interesting, thought provoking, and maybe even helpful. Check it out. It is their creative ability that led them to choose the behaviors they discovered to deal with their unhappiness and frustration in the first place. In the movie, after being marooned on a small island in the South Pacific, Chuck (Tom Hanks) found himself without his basic genetic needs. He had to be creative to survive and began to improvise ways to find shelter, food, thirst and dehydration quenchers. He soon found himself without the power to do much about his situation, but maintained enough power from within to continue to survive. Even when he considered suicide, his tested method failed and renewed his internal power for survival. His freedom was now very limited. He had only a small portion of the island in which he could navigate as most of it was mountainous and surrounded by pounding waves. He was held in solitary confinement. He certainly was not having any fun. All of his basic needs for happiness were not being met to the degree that he wanted. But it wasn’t long after his initial awareness that he was, indeed, stranded in the middle of nowhere and the odds of being rescued were minimal. He still had the strong genetic need for love and belonging and after injuring his hand while attempting to make fire, his frustration led to him choosing to throw objects that had washed up from the plane crash, kick the sand, swear, and destroy whatever was near him. His bloody hand from the injury he incurred left a palm print on a soccer ball that had been part of the cargo in the plane. After he had calmed down and successfully created a fire, he began staring at the soccer ball and saw the potential for something in the bloody hand print . . . a human face. Since no one was around to offer a need-satisfying relationship in the form of connecting with others, he would create his own person to meet this need. AHA! If he did that back in Memphis where he lived, would you still say his behavior was an acceptable way to behave? One might be inclined to get as far away from him as possible because, “who knows what a crazy person who talks to himself or to inanimate objects might do?” One might also believe he is seriously mentally ill and should be placed on brain meds and is in dire need of a psychiatrist. The person who sees things, hears things, and talks to people who are not present, or to inanimate objects, is no different than Chuck. While they are not physically on a deserted island, they are in a deserted world based upon their choice to isolate or detach from others because of unsatisfying relationships with the important people in their life. They have detached from others and can be alone while around others. Their creativity to deal with their frustration and unhappiness is no different than Chuck’s creativity in producing and talking to Wilson, a soccer ball. If Chuck behaved in this manner back in Memphis, you would not see the situation he would be experiencing in his world. His unsatisfying situation and internal frustration would be very real to him, but invisible to you. And since you have most of your needs met, on a somewhat regular basis, in a world where they are more easily attainable than a desert island, you might be inclined to think and believe his behavior is a mental illness. When Chuck was rescued and came back home, he didn’t talk to things or people who weren’t there anymore. 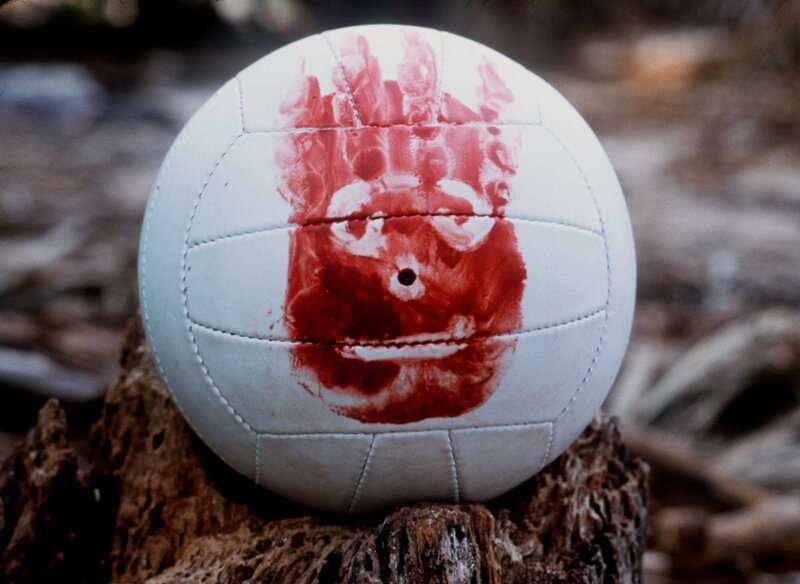 First of all, Wilson was lost at sea before he was rescued. But when Chuck got home, he was back in a world with people with whom he could connect. And it didn’t take brain meds to get him to stop talking to imaginary things or hearing imaginary voices. He only had to connect with others and those who are important to him. After five years of living in isolation, his rescue not only saved his life, it restored most of his basic genetic needs for happiness: Survival, Love and Belonging, Freedom, Power, and Fun. The love of his life had given up hope for his return and had married someone else. There would obviously be some emotional pain from that loss. But even that didn’t cause Chuck to return to his island-surviving behaviors. Would you say a child who has an imaginary playmate is mentally ill? Or would you say they are being really creative? When you dream at night . . . are some of your dreams really “out there”? Does that mean that you are crazy when you are dreaming or is your mind simply being creative? If your brain can do that when you are asleep, it is also capable of doing it when you are awake? In our world, it appears it is much easier to convince others that a person is mentally ill than to convince them that they are sane and only frustrated and unhappy. I’m headed to southern Oregon next week to conduct a Soul Shaper workshop at Milo Academy. Looking forward to it!